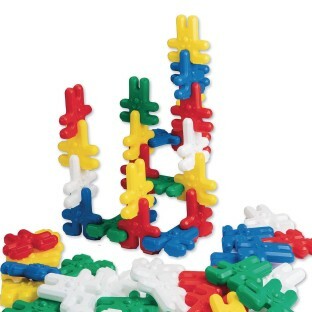 Lightweight plastic rabbits slot-fit together from all directions. Set of 50 in 5 colors. Lightweight plastic rabbits slot-fit together from all directions. Set of 50 in 5 colors. Each rabbit measures 3-1/4" tall. Ages 3 and up.